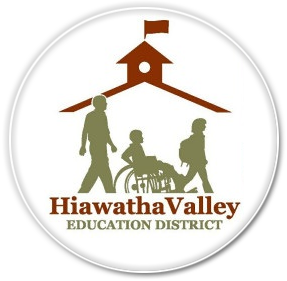 Proudly serving 13 Districts in five counties of southeast Minnesota: Fillmore, Houston, Olmsted, Wabasha, and Winona. SAIL provides students with behavioral challenges a safe and secure place for education. At SAIL we work on both academic and behaviors. Our goal is for the student to learn coping skills so that they are able to return to their home district. WIN (What I Need) Program, is a self-contained behavior classroom for youth in grades K-12. Our mission is to work with students who have behavioral challenges that prevent them from being successful in a mainstream setting. HVED's SPECTRUM Program is an Autism program. Students who attend SPECTRUM are provided with Specialized Programming, Education, Comprehensive Therapy and other Resources for their Unique Minds. The Birth to 3 Program is a federally mandated Early Intervention program (Part C of the Individuals with Disabilities Education Act—IDEA) to support families of children with developmental delays or disabilities under the age of three. River Valley Academy (RVA) serves students in middle school and high school (up to age 21) who meet qualifying criteria. RVA provides personalized instruction to meet the learner’s needs. Students may be able to work more independently on the courses they need.